I am pleased to welcome author Esther Dalseno onto the blog today to tell us seven secrets about her debut novel, Gabriel and the Swallows, which is published by OfTomes Publishing today. 1. Gabriel and the Swallows began its life titled The Swallowed Girl and was initially based in Burgundy, France. When I discovered the town of Orvieto in my travels, I couldn’t help but transplant it. 2. The first three chapters of Gabriel were written in a bout of feverish inspiration three years before the remainder in Kuala Lumpur, Malaysia. The first three chapters were completed in two days in 2010, and the remainder of the book was completed in four months in 2013. I wrote the majority of the book, which is based in Italy, in a tiny beach town called Hoi An in Vietnam. So it’s a book set entirely in Europe that was written entirely in Asia. 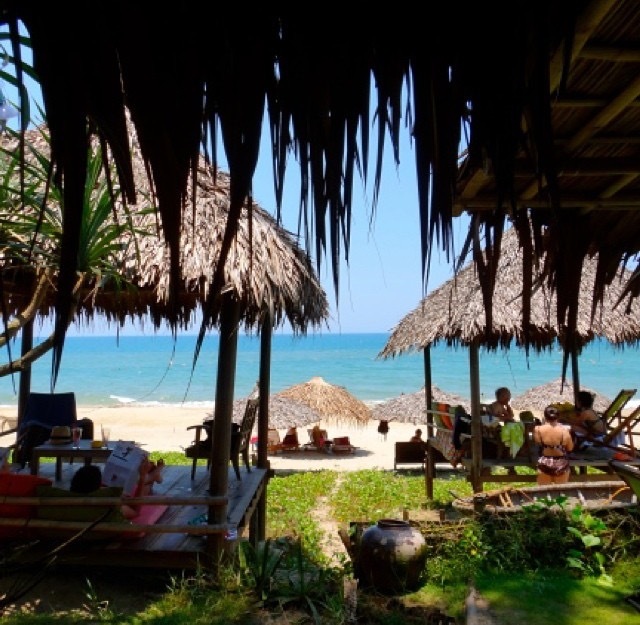 The majority of the book was written in Hoi An, Vietnam. 3. 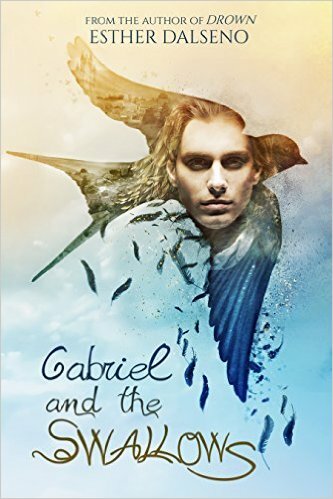 Just weeks before publication, a brand new prologue was written for Gabriel and the Swallows. It’s set in Istanbul, Turkey in the year 1972, and is designed to be a bridge linking Gabriel to its upcoming sequel, Orlando and the Spirits. 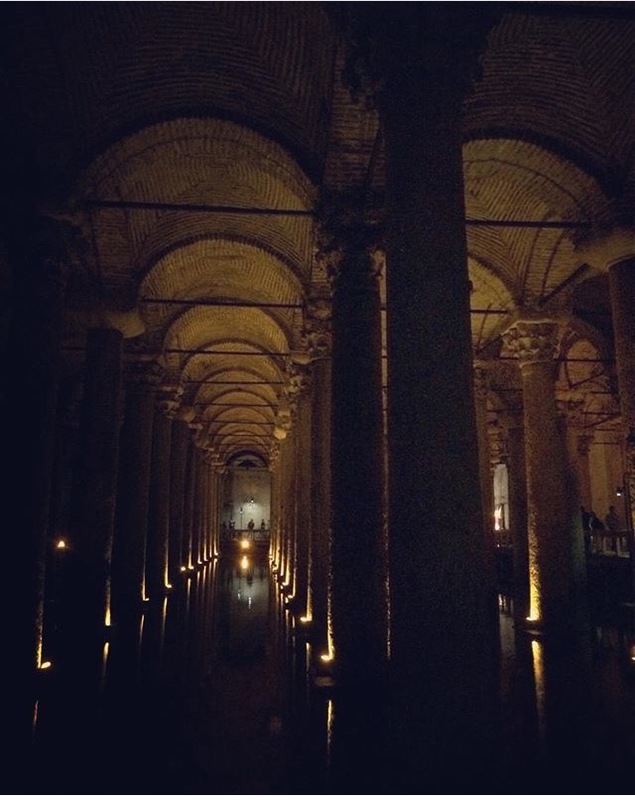 The new prologue is set here, in the spooky underground Basilica Cistern in Istanbul. 4. I am Australian, but ethnically, I am half Malaysian-Chinese and half Italian. I was brought up in the USA and Australia, and when I finished my university degree, I decided to leave Sydney to teach in South Korea for one year. I am literally still travelling the world and I haven’t been home except for weddings and other flying visits - and it’s been ten years now. I picked up an international dog, husband, and daughter along the way…we all have different passports! I currently live in Berlin. 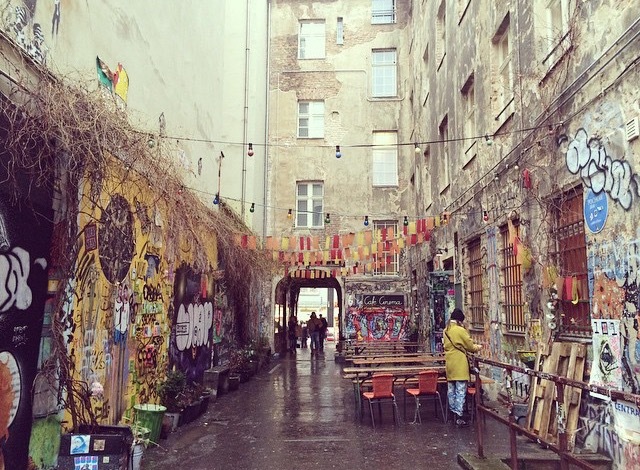 My current home of Berlin. 5. Gabriel and the Swallows is a diverse book, racially and culturally, and I am proud of that. I was happy to use my Italian culture in a novel and even managed to squeeze in a bit of the Asian as well. The secondary character of Gabriel is a Muslim immigrant from Turkey and the sequel revolves around him - it’s going to be a continuing challenge to write! In the sequel, I also aim to write about sexual diversity and LGBT characters. 6. 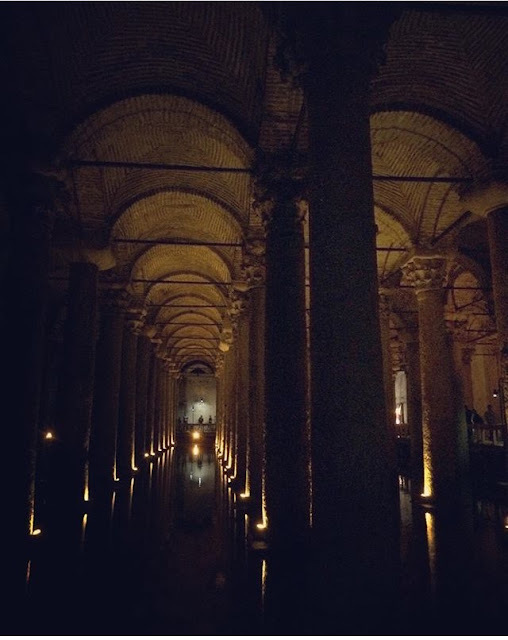 I just returned to Germany from my research trip to Istanbul for Orlando and the Spirits. On day three of my trip, I deleted the entire manuscript that I had already written. Now that I had seen the city, I knew the tone was off, the vibe was all wrong, and the plot wasn’t going to work. I am currently cobbling together a new plot and new characters. 7. This is sad, but I want it to be noted: the dedication in Gabriel and the Swallows is for two very close members of my immediate family who tragically died together in an accident two Christmases ago. They are always in my heart and I’ll see them in the next world. I wanted to pay homage to their precious lives and how dearly they are missed.